BOSTON — Federal authorities are charging a Massachusetts District Court judge and a trial court officer with obstruction of justice and other crimes, according to an indictment obtained by 5 Investigates. Judge Shelley M. Richmond Joseph was suspended without pay Thursday, just hours after the federal indictment was announced. Joseph and Wesley MacGregor, the trial court officer, are accused of conspiring to prevent Immigration and Customs Enforcement from taking an immigrant into custody at Newton District Court on April 2, 2018. The immigrant, who had been deported twice before, was arrested four days earlier for narcotics possession and being a fugitive from justice in Pennsylvania. When his fingerprints were taken, ICE became aware of the arrest. ICE issued an order for a federal immigration detainer and sent an officer to the courthouse. In the courtroom, Joseph ordered the courtroom recording device to be turned off for 52 seconds in order to conceal a conversation about getting the immigrant out of the courthouse, the indictment said. According to the indictment filed by U.S. Attorney Andrew Lelling’s office, MacGregor agreed with the immigrant’s defense attorney to release the immigrant through a rear door in order to evade the federal officers. Joseph participated by creating a pretext for the immigrant to be brought downstairs for “further interview” so he could be released through that door, the indictment said. Joseph and MacGregor face charges of obstruction of justice, conspiracy to obstruct justice and obstruction of a federal proceeding, the indictment said. MacGregor is also charged with perjury on suspicion of giving false testimony to a federal grand jury that was reviewing the case. Both were allowed to surrender themselves to face the charges, Lelling’s office said. They are expected to appear in federal court for a hearing Thursday afternoon. Gov. Charlie Baker had previously called for Joseph to be removed from the bench. The White House, once again, opted to side with Turkey and continue its complicity in Ankara’s campaign to deny the Armenian Genocide. Furthermore, President Donald Trump chose to ignore the will of 49 states of our union that have justly and rightfully recognized the Armenian Genocide, and issued a statement on Wednesday further cementing the administration’s tone deaf to this issue. However, as Armenians around the world commemorate the Armenian Genocide, they will be joined by the people and government of France, which, for the first time, is commemorating the Genocide as a national day of remembrance. France joins Argentina and other countries whose leaders have seen beyond Turkey’s arrogance and lies and have marshaled their citizens to stand on the side of truth and justice. Few weeks after President Emanuel Macron of France announced his intention to declare April 24 a national day of commemoration for the Armenian Genocide, Italy’s Chamber of Deputies overwhelmingly adopted a resolution recognizing the Genocide, joining a growing list of European countries to advance an agenda that values humanity and human rights. The Armenian people’s struggle to attain international recognition for the Armenian Genocide, which began in earnest in 1965—the 50th anniversary—has morphed into not only legislatures and presidents acknowledging the truth, but also in some instances governments taking responsibility for their role in advancing the Ottoman Empire’s state policy to eradicate Armenians. The resolution adopted by Germany’s Bundestag a few years ago demonstrated the willingness of nations to come to terms with their pasts. Ankara believes that perpetuating this lie will somehow make the events of 1915 disappear. Then again, if Turkey’s President Recep Tayyip Erdogan recognizes the Genocide, he would have to rethink his current policies of silencing its own population, which mirror the strategies employed by his predecessors when they set out to destroy the Armenian population. The will of the people to advance the cause of justice for the Armenian Genocide has not wavered and that will has only proliferated around the world, most notably in Turkey, where for the past several years concerned Turks are joining Armenians to not only commemorate the Armenian Genocide but demand justice from their government. Garo Paylan, an Armenian member of the Turkish Parliament representing the People’s Democratic Party (HDP), called on his fellow lawmakers to take up the issue of the Armenian Genocide in Turkey’s Grand National Assembly. The mere mention of this a few years back from the dais of Turkey’s legislature would have resulted in his arrest and much worse. The fact remains that stories of survivors that over the last century or so have been passed down to younger generations have cemented the Armenians’ will to not only survive adversity but to advance the cause of justice. Although we faced similar horrors at the hands of Azerbaijanis when beginning in 1988 and in response to Artsakh liberation movement, they carried out systematic massacres of Armenians in Sumgait, Baku, Kirovabad, Maragha and Shahumian, employing the same vile and brutal tactics as their Turkish cousins, our resilience as a nation proved to be a potent force against the perpetrators who were advancing a genocidal policy. Artsakh was liberated and is now the crucial link in the chain that is the Armenian Cause and the aspirations of the Armenian Nation. Today all facets of our society have lined up behind the truth. Publications such as The New York Times, the Washington Post and Los Angeles Times, which a decade or so ago hesitated—and refused—to use the word “genocide” to describe the events of 1915 have all called on the White House to recognize the Armenian Genocide. Public schools are including the study of the Armenian Genocide in their curricula, while historians are tackling the issue from various angles and perspectives to paint a more accurate picture of the 20th century. All of these advances have happened because the Armenian people have been adamant and they have parlayed their righteous convictions into decisive action to advance and pursue the Armenian Cause. As we remember the victims of the Armenian Genocide and those who perished in similar massacres before and after 1915, we must be cognizant that our collective will to right the injustices of the past is a potent catalyst in advancing our cause and brick-by-brick shattering the wall of lies and silence that continue to stand in the way of recognition, reparations and restitution for the Armenian Genocide and the ultimate aspiration of our Nation—a Free, United and Independent Armenia. NewsGuard announces UK Launch to tackle misinformation; @jimmy_wales, @AndersFoghR and @sambrook join global advisory board. Tomorrow is a big day for Korea. The first face-to-face summit of Russian President Vladimir Putin and North Korean Leader Kim Jong-un takes place. The future of Korea could be decided by these two men tomorrow. DONALD Trump has accused the UK of helping the Obama administration SPY on him during the 2016 presidential campaign. The US President made the sensational claim in a tweet today, quoting the right-wing conspiracy-peddling website One America News Network (OANN). The bizarre accusation comes just days after it was revealed Trump would be undertaking a state visit this summer. It may be he is hoping to ramp up tensions ahead of the visit in a bid to improve his leverage in any political discussions which may take place. However, the accusation actually dates back to at least 2017 and has been denied by both the Obama administration and MI6. Meanwhile, Donald and Melania will not stay at Buckingham Palace during their state visit this summer because the Queen has got the builders in, it’s been claimed. Royal sources reportedly said the Monarch can’t let the US President stop over as his staff can’t stay in the East Wing as it will be closed during a £365m renovation programme. Buckingham Palace revealed that the Trumps will visit the UK for three days from June 3rd to the 5th which is timed to coincide with the 75th anniversary of D-Day. It comes more than two years after Theresa May first offered the visit when they met in January 2017 at the White House. However, any hopes of the Republican leader staying over at the Palace have been scuppered. Sources said the Trumps would have been expected to stay in the palace’s historic Belgian Suite which is still open. However, it’s reported none of their entourage of aides or staff could be accommodated due to the closure of the East Wing. The Daily Mail reports there is no suggestion the couple will be offered other royal accommodation which means they will most likely take up residence at Winfield House. The manor house – which is the palatial London home of the US Ambassador – is where they stayed last summer. However, royal aides insisted there was no snub intended to the President and First Lady pointing out even the Queen may be forced to leave her official London home during the renovation. President Trump made a two-day working visit to the UK last July – where he met The Queen and spoke exclusively to The Sun. another major war for you know who. The entire world knows that Trump’s antagonistic polices and sanctions directed at Iran are only because Israel has demanded them. The United States has lost friends and made enemies because of this bellicose and extremely dangerous foreign policy. Now we see the most recent announcement by the administration that ends sanction waivers for Iran oil imports starting May 3. Most expected that these waivers would be reinstated, especially those nations which the U.S. needs to keep on the reservation—the economic reservation, that is. By not extending these waivers for “China and India and U.S. treaty allies Japan, South Korea and Turkey” the administration is putting key alliances and relationships into great jeopardy. It should be remembered that Japan’s bombing of Pearl Harbor (and subsequent U.S. entry into WW2) was predicated on the illegal blockade of oil and gas imports to that energy deficient nation. The Trump administration has no right or authority to tell other nations who they can do business with. To even attempt to dictate the energy partners of other countries smacks of the height of imperial hubris and arrogance of American exceptionalism. Each of the unlawful sanction regimes imposed by Trump is nothing short of warmongering by way of financial terrorism and economic sabotage. It seems that only the American people are either unaware or clueless about the gravity of this rapidly developing international catastrophe. How would the USA respond to another nation were it to hurt American trade and commerce via strangling economic sanctions and severe financial assaults? Really, would the American people stand for such brazen and reckless acts of economic warfare for even one moment?! Well, that’s exactly what the Neocon warmongers are doing to sovereign states that do not follow our dictates concerning Iranian oil and gas imports. This deteriorating situation will have quite serious consequences for all parties involved, but especially for the United States. By pushing the adversely affected countries further away from the U.S. orbit, there is the greatly increasing risk that the US petrodollar will be replaced as the world’s reserve currency. When that happens, everything changes in a day and a night. Russia, China, India, Iran, Iraq, Venezuela and other nations and energy producers are gradually replacing the petrodollar with other forms of exchange. This ever-intensifying dynamic spells D I S A S T E R for the USA. And, this is just one of the serious problems associated with these highly misguided and fateful policies foisted on the international trading community. Which begs the question: who is advising Trump? There’s only one reason why Trump left the Iran nuclear deal: Israel demanded it. And Trump gladly accommodated PM Netanyahu. The existence of a White House war cabinet of Neocon warmongers is proof positive that Trump’s foreign policy has been completely hijacked by Israel. Just who are they? Here’s a short list of the most influential Neocons steering Trump in an exceedingly dangerous direction. It’s absolutely crucial for the American people to come to grips with this perilous situation. The U.S. can no longer function as the sole superpower in a unipolar world that’s quickly morphing into a multipolar planet where “might does not make right”. The sooner Washington wises up to this reality, the more gentle will be the fall when the market crash does come. And there’s simply no stopping the upcoming economic collapse that has been artificially postponed with every trick in the Goldman Sachs playbook. Because the vast majority of Americans have been AWOL throughout this burgeoning crisis, there does not exist the critical mass of citizens to stop the warmongering that’s deemed necessary to prop up the perpetual war economy. As long as the Military-Industrial Complex reigns supreme in determining this nation’s priorities, only war will result. And, the ever-increasing defense budgets approved by Trump stand as a clear testament to this unfortunate fact of life. The stark reality is that the Pentagon has seen enormous appropriations for DoD under this administration as previous constraints are exploding annually. Frankly, the Neocons are hellbent on taking the country south. The Israel-directed warmongers infesting the West Wing intend to entangle the USA is so many armed conflicts it will seem as if the community of nations is mired in the Third World War. By relentlessly and reprehensibly destroying the economy of Iran, the U.S. is alienating nations large and small. While many may appear to support the Washington consensus, when the tables do turn, they will leave the Yankee reservation in a New York minute. After decades of watching Washington wage so many unprovoked wars of naked aggression, the world community of nations is quite tired of it all. And, they will turn on their imperialistic masters when the circumstances allow. This is “Why is the Trump administration’s foreign policy so dangerous to Americans?” And, why the intention to force a regime change in Iran is truly an “epic blunder” of catastrophic proportions. It’s the Patriot Movement on the Right that needs to get this message to Trump. Executing coups and doing regime change, crashing foreign economies and conducting financial terrorism is not why the Right voted for Trump. He was put into the Oval Office to do quite the opposite…as he promised many times to do. Therefore, it’s time to hold Trump’s feet to the fire. Should he further succumb to the destructive Neocon influences that surround him, he risks a legacy defined by war and rumor of war, economic collapse and financial hardship the world over. President Trump was elected to MAGA, not MIGA. It’s high time he abandoned those ill-advised policies and initiatives that don’t serve MAGA—post haste! 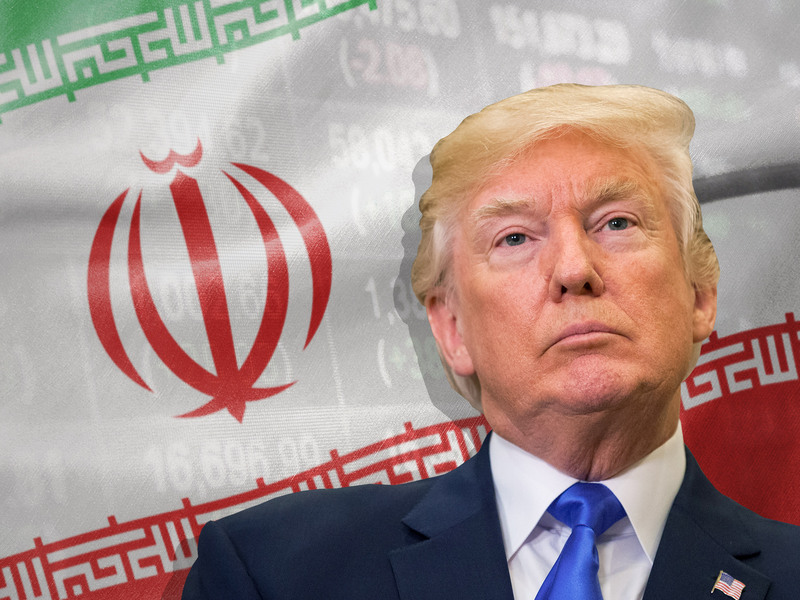 Author The Millennium ReportPosted on April 24, 2019 Categories Millenium ReportLeave a comment on Trump’s latest move against Iran is not good for anyone—WHY? As Flint, Michigan, marks five years since the city’s deadly water crisis began, a federal judge ruled in favor of residents who want to sue the federal government for not acting promptly to ensure the city had clean drinking water. “These lies went on for months while the people of Flint continued to be poisoned,” Judge Linda Parker, an Obama appointee, wrote in her ruling Friday. The EPA was notified that Flint was using a contaminated drinking water source—the Flint River—in mid-2015, when a whistleblower wrote in a memo that the water contained lead. But the agency didn’t issue an emergency order to protect residents for another seven months. By that time, residents of the majority-black city had been drinking the tainted water for a year and a half. City officials began drawing drinking water from the river in April 2014, switching from Detroit’s system to save money. Residents began complaining of rashes, hair loss, and other health concerns almost immediately, and reporting that the water was brown and had an unpleasant taste and odor—but the city insisted the water was safe. State regulators continued telling residents that the water was safe for drinking even after a group of doctors reported in September 2015 that they had detected high levels of lead in children’s bloodstreams. The EPA issued its emergency order in January 2016 and claims that it lacked the authority to take action sooner because of the state’s decision-making. Michael Pitt, a lawyer for the 1,700 residents who filed the suit in 2017 praised Parker’s decision. The ruling is the latest victory for victims of the crisis, which was linked to at least 12 deaths from Legionnaires disease and put residents, especially children, at risk for long-term neurological and cognitive disorders. Earlier this month a class-action lawsuit against former Michigan Gov. Rick Snyder was allowed to proceed, and an appellate court ruled in January that city and state officials can be sued as well. (Natural News) Like it or not, 5G (fifth generation) cellular technology will be up and running in your area soon. Experts believe that by 2020 virtually every country on the planet will have switched to this technology. Service providers boast that 5G will revolutionize the ‘Net, increasing download speeds by 100 times when compared to 4G technology. And 5G will likely facilitate more stable connections and greater capacity. In simple terms, this means that several people in a household will comfortably be able to run high-demand applications simultaneously, and a full HD movie will take less than 10 seconds to download. As reported by CBS San Francisco, the Federal Communications Commission (FCC) and the cellular service providers themselves all insist that this technology is safe. But studies have found that 5G poses a serious threat to the health of the community, and anecdotal evidence of people who have developed tumors after exposure to even older generations of wireless technology has begun to mount. More and more people are starting to stand up and demand that regulatory bodies impose measures to protect people from exposure to the radiation emitted by cellular devices – exposure which will increase dramatically when 5G is rolled out across the country. CBS reported that residents of the East Bay area of San Francisco recently scheduled a town council meeting to challenge local government to take steps to protect residents from radiation exposure. This neighborhood is just one of many across the country that has decided to take a stand against the rollout of 5G in their area. Ellie Marks is an East Bay resident who became outspoken about the dangers of cellular radiation after her husband was diagnosed with a brain tumor in 2008. The tumor was located on the right side of his head, exactly where he regularly held his cellphone to his ear. Marks had been a prolific cellphone user since 1986. “He used it all the time; held it right to his right ear and the tumor developed right where he held the phone,” Ellie Marks noted. Though Marks survived the tumor, the cancer scare mobilized his wife to speak up publicly in countrywide tours about the dangers of cellphone use and radiation exposure from other wireless devices. Local government agencies generally shrug their shoulders and say they can do nothing about 5G being rolled out in a given area because the safety of cellphone towers is regulated at the state and federal level. Nonetheless, people like Ellie Marks believe that standing up and speaking out is the only way to secure protection from the dangerous effects of 5G radiation. Though allegations came to light Monday night, a victims’ rights attorney who compiled a list of former Boy Scout leaders accused of abuse in New York held a press conference Tuesday morning to discuss the alleged widespread pattern of abuse within the scouting organization and to ask victims to come forward. The victims’ rights attorney, Jeff Anderson, called it a system of denial and cover-ups. He claims the Boy Scouts have files on child abusers within their ranks dating back to the 1940s. The claims are alarming, not only because of the nature, but also the sheer number of them. Michael George reports. The knowledge of the files themselves is not new, as outlets including NBC have previously reported on them. An Oregon judge ordered their release in 2012 after they were shown to a jury in a civil suit. However, the number of alleged perpetrators found in the files is new, according to Anderson. He said, citing testimony by a professional retained by the BSA to audit the files, that there were 7,819 suspected perpetrators, while the number of victims total 12,254. “That is a number not known before today or ever revealed by the Boy Scouts of America,” he said. Anderson said his law firm managed to identify 130 former BSA leaders in New York who are found in the files that have so far been made available. According to Anderson, the list of alleged abusers was compiled into what he called the “Anderson File,” but said the list of names is incomplete. The BSA never released the names of the alleged perpetrators to the public or authorities, Anderson claimed. A judge blasted the accused killer of a 12-year-old Boy Scout in front of the child’s family and friends Tuesday, arguing the man’s latest refusal to take a plea deal in the DWI crash was just another delay tactic. Greg Cergol reports. According to Anderson, it is not clear at this point whether the accused are even alive, let alone where they might live, whether they are involved in activities with children or if they have criminal records. Bridie Farrell, a survivor of abuse and co-founder of NY Loves Kids, an organization that aims to create a safer New York by speaking out about child sexual abuse, was also present at the press conference. Attorneys in New Jersey also scheduled a news conference Tuesday, where they plan to release the names of 50 Boy Scout leaders named in the files who worked in the state. Anderson plans to file multiple lawsuits against the Boy Scouts on behalf of the victims and demands the organization hand over their files, including names of those accused of abuse. Although Anderson must wait to file suit because the Child Victims Act is not effective until Aug. 14, he said he couldn’t wait any longer and wanted to make the information he received public. The legislation essentially erases the statute of limitations to report a crime of childhood sexual abuse. For the first time in over a century, the Boy Scouts of America has welcomed their first class of girls into the newly renamed Scouts BSA program. Katherine Boggs, 16, of Folsom, California, is ready to become a third-generation Scout. “We believe victims, we support them, and we have paid for unlimited counseling by a provider of their choice. Nothing is more important than the safety and protection of children in Scouting and we are outraged that there have been times when individuals took advantage of our programs to abuse innocent children,” the statement reads in part. Ferrulli’s son, who attends Ripon elementary, spent two years trying to get the district to remove the tower after her son was diagnosed with brain cancer. While the Sprint tower in Ripon is not 5G, concerns over this newer technology still persist and similar movements to block 5G have taken place across the country. Concerns over cell phone radiation have been around since the advent of the technology. It is a fact that cell phones emit radiation. It is also a fact that this radiation can be absorbed by the human body from prolonged exposure. As TFTP previously reported, after years of being hidden from the public, cellphone radiation studies were released. In 2017, California Department of Public Health officials finally released a draft document outlining health concerns stemming from cellphone radiation — including multiple cancers and infertility.